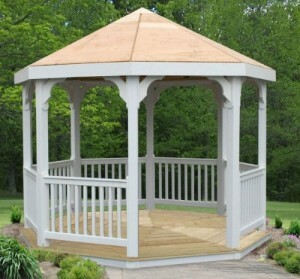 There are many features that you can add to your gazebo. 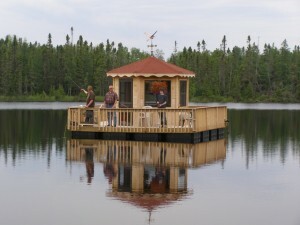 Having a bar installed is one of these features. 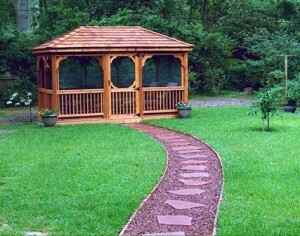 This is an interesting garden accessory that can be build quite quickly. 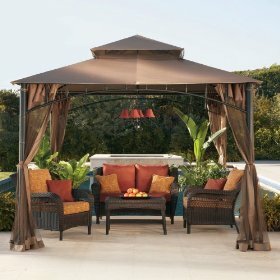 You can combine styles, or use the same for both the gazebo and the bar. 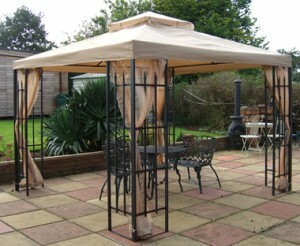 It’s preferable to plan the bar as you plan the gazebo, but it shouldn’t be too hard afterwards too. 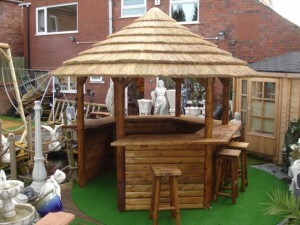 Designing the gazebo bar should follow the same lines as the gazebo. 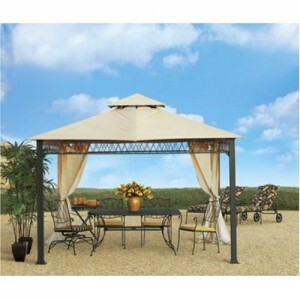 Place the bar on the side to make sure that people can move freely inside the gazebo. Also take in consideration stools and a large table. Make the necessary measurements. 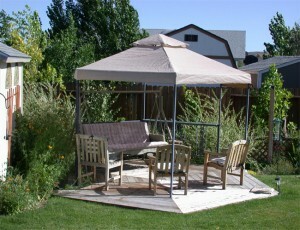 The gazebo foundation can be easily constructed. 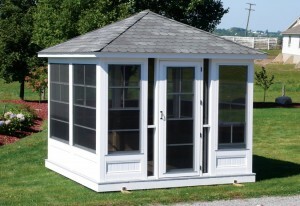 You will need to make the necessary measurements to see where the beams will be placed. Make holes where the beams will go and then pour concrete in them. 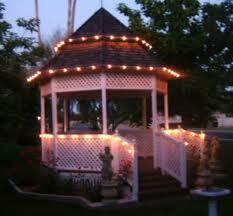 The base of the gazebo should be made from a mix of gravel and concrete. You can then cover the entire base with concrete. 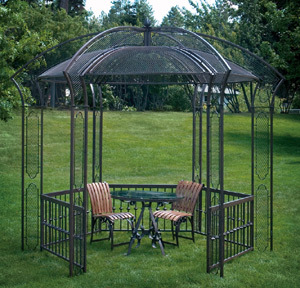 Although many gazebos do not have walls, you can place a series of shelves as a baluster. Fix these balusters into the support posts. You can then add lattice around the edges as to form walls. Remember to leave one side free. 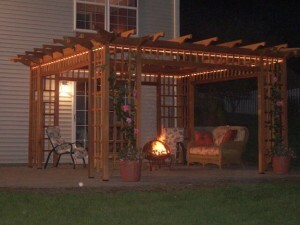 This will be the entrance. 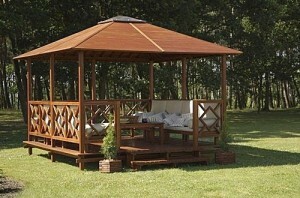 The roof will need to be made from wood beams. 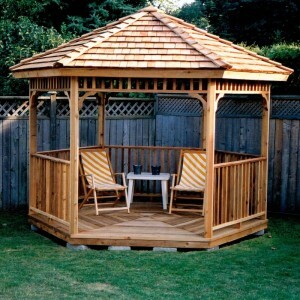 After creating the cone of the roof with beams, you will need to place timber around to cover the cone. Place water proof material on the surface of the roof. Add varnish to the wood and let it dry overnight. 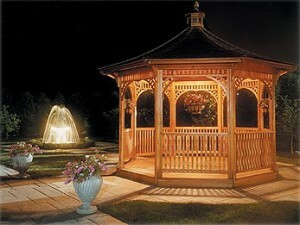 Now that you have finished your gazebo, you can install the mantle for the bar, on the baluster.